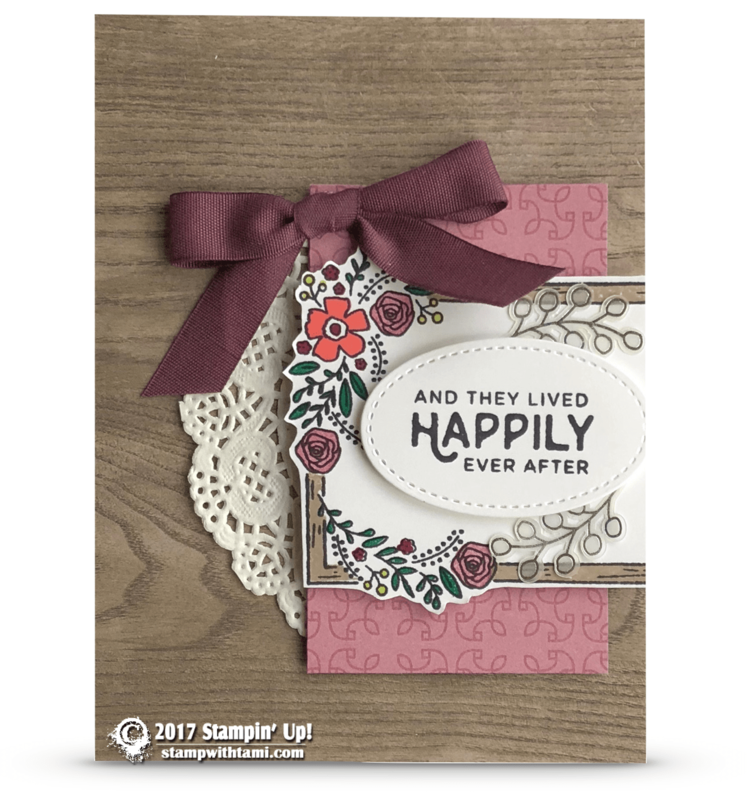 “And the lived happily ever after” wedding card from the new Stampin Up Love You Still stamp set. The flowers and window sill are colored with ink pads and Blender Pens. The words are cut from the Stitched Shapes dies. The vellum overlay is from the Sweet Soirée Embellishment Kit. Layered over some DSP from Petal Garden and Wood Textures collection. A Delicate Doily and some Fresh Fig ribbon complete the card.